Our Story – ALIVE! Ministries, Inc.
← Welcome to ALIVE! Ministries, Inc.
One of the features being shared on our New Face Book Page is “Our Story” (Directors, Revs. Derek & Carol Stevenson) who have been married for 44 years – a very simple, even ordinary, yet extraordinary Love Journey! Everyone has a story, and sometimes we need to reflect on that story to see what God has done, what He is doing, and what He will do in our relationships to inspire us to press on. Every marriage has its ups and downs and we are often tempted to complain about what we may be experiencing in a given moment. But, when we step back and review the larger picture, we might be amazed at God’s goodness and blessings. We will tell our story with pictures and brief snipets of marriage enlightenments that will help you “Keep Your Marriage Alive”. Look forward to weekly new posts as our Story unfolds from beginning to our current 43 years, and as we reach for the Gold (50 years). 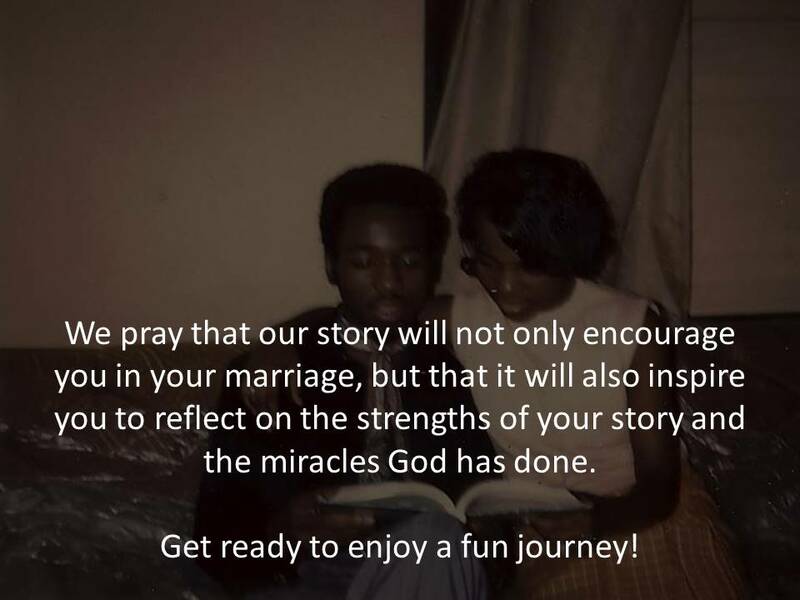 We pray that our story will not only encourage you in your marriage, but that it will also inspire you to reflect on the strengths of your story and the miracles God has done.